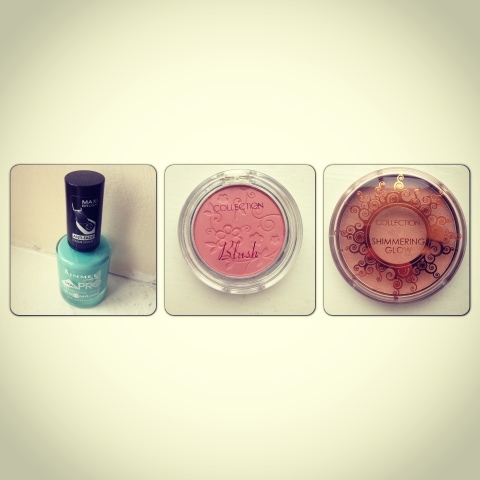 She's A Gentry: Recent beauty purchases.. Morning lovelies! The sun is out yay!! Hoping it stays like this. So today I have a few beauty products to share with you.. 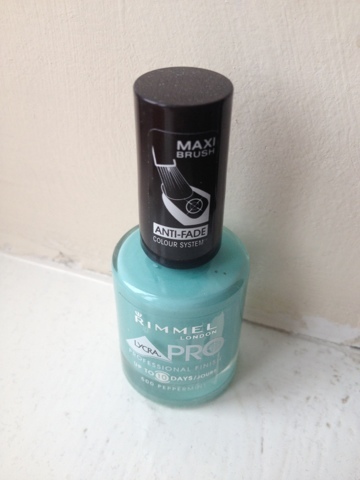 I recently picked up this Rimmel London nail polish in peppermint. I adore this colour so much and thought it'd be a good dupe for the Essie colour? I love this colour for summer and it looks good on shorter nails as well. The brush is a "maxi brush" which to be honest I'm not keen on, I find it too big and can pick up too much polish on the brush. Other than that it's great. You can get away with one coat, it dries quickly and lasts well. 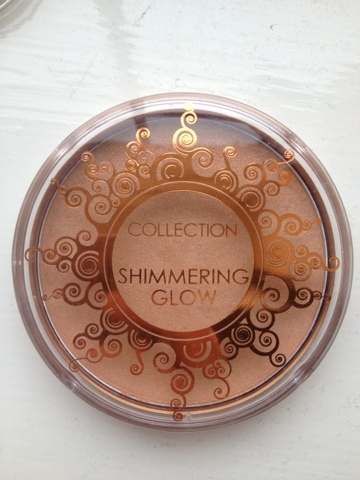 I then picked up this collection bronzer which is value for money and great for a summer glow. It has low level shimmer thankfully so your face doesn't twinkle too much in bright sunlight and when applying it it goes on sheer and is build able so no worry of an orange face situation! 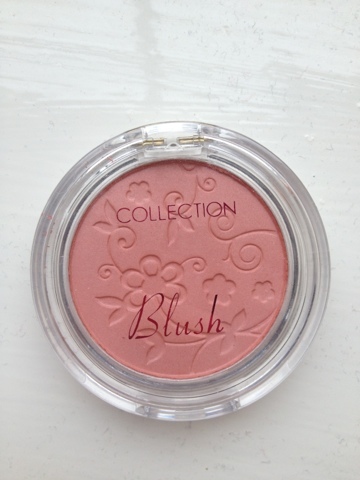 Also from the collection range I picked up this blusher in the shade bashful. It's a lovely coraly pink colour which looks great with a tan and has some gold pigment in which compliments a sun kissed look. It's my go to blusher and I absolutely love it! It's quite pigmented so a little bit goes a long way. 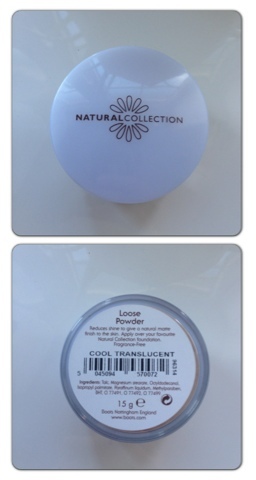 I then picked up some loose powder from natural collection. At £1.99 you can't really go wrong! It's great for setting my makeup as I have oily skin and need powder and does what it says on the tin- bargain! 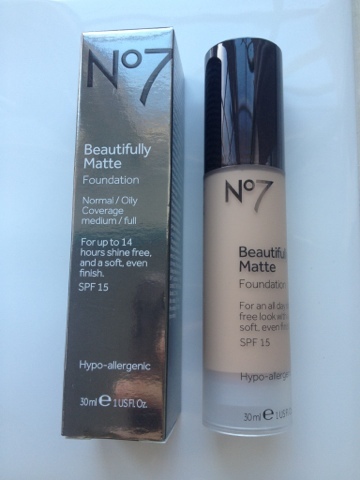 And finally I picked up some more no7 foundation which I LOVE! Check out my post dedicated to this foundation to find out why! I had my colour match done again and have gone slightly darker from the sun so I'm now cool beige. As always it glides on flawlessly, has SPF 15 which is good for protecting my skin and is mattifying- great for my oily skin!